This was a super fun session with lovely Courtney. (make sure you hit the HD button for best quality!) Courtney 2015 from Jill Rosell on Vimeo. 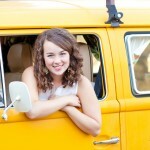 A Vintage Summer Senior Session. © 2019 Jill Rosell Photography|ProPhoto Photography Template | Designed by That's Kinda Cool!